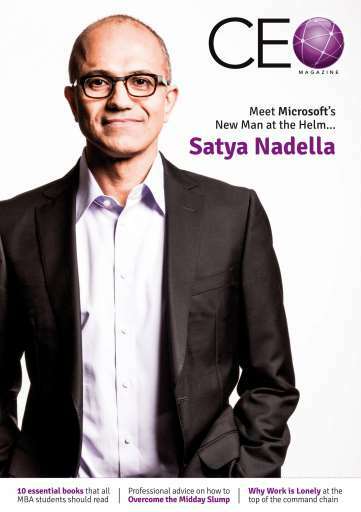 In this issue of CEO Magazine, we take a closer look at the man Microsoft's tasked with regaining the high ground from rivals Apple, Google and Facebook: Satya Nadella. We also give you our top 10 'must-reads' - the books that every entrepreneur and MBA student should read. And don't miss our top tips on getting over the midday slump and doing business abroad.